Fried bread (paraoa parae) is a delicacy that was once cooked in most Māori households but later became uncommon except on special occasions. As a result, a market developed for a commercially produced version. 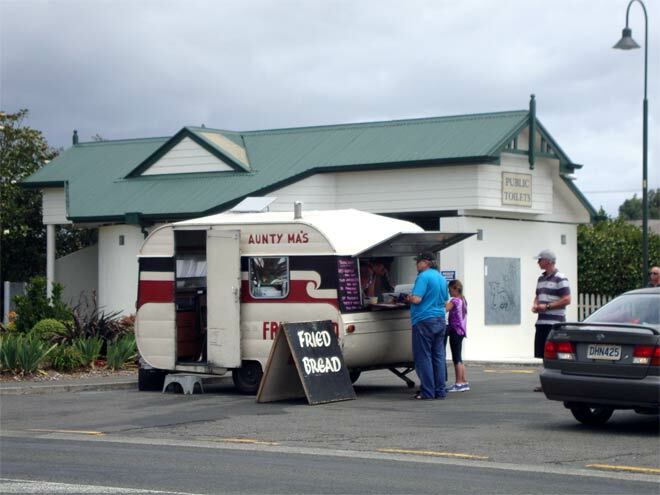 This caravan, painted in the colours of the tino rangatiratanga (Māori sovereignty) flag, is selling fried bread at the roadside in Waipukurau, Hawke's Bay, in December 2012.